Thermal Control Membrane - when you want the ultimate in comfort and performance. TCM is a new proprietary sustainable building product that is very effective at changing the direction of heat gain in hot sunny climates. 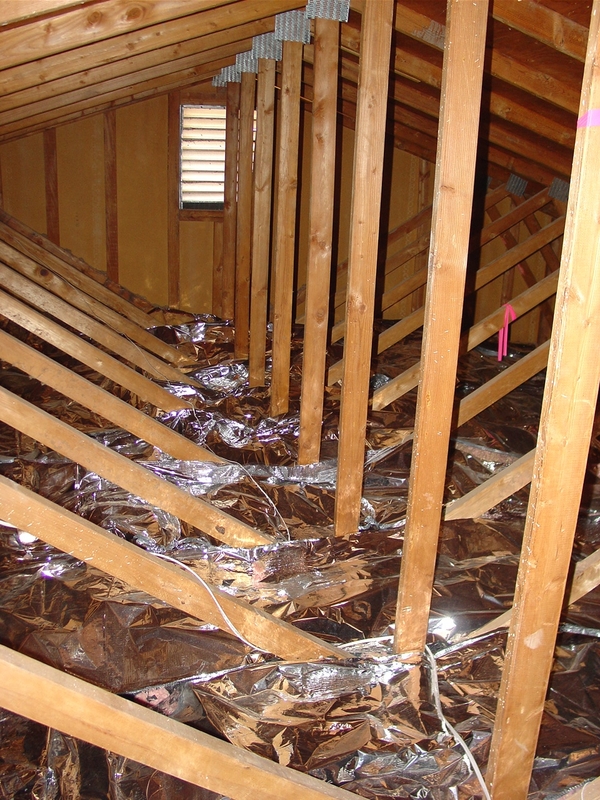 TCM augments existing attic insulation and prevents the "Sweater Effect" caused by conventional insulation products. The Sweater Effect stores infrared heat from a hot roof and creates more uncomfortable heat inside your home. As a result you will find yourself paying a higher monthly energy bill. For cold climates TCM-6 should be installed just behind the sheet rock as a vapor barrier and an effective heat barrier. TCM6/26 is 26" wide and provides an overlap on homes built with trusses set at 24" on center. Do not staple a radiant barrier to the bottom of the roof! Our latest addition to our TCM line of products is a multi-layered TCM membrane with a flat black reinforced bottom membrane. This product can be stapled up without worry of it falling down over time like other radiant barriers that are not reinforced. This creates the effect that many architects desire - a finished flat black ceiling aesthetic. Click to see a video of the finished installation. Thermal Control Membrane is a multi-layered, thin film material that is very effective at controlling heat flow. What does this mean? This means that it causes infrared heat to change direction and go back to where it came from. We suggest that TCM be used in conjunction with our German attic fan to exhaust this rejected heat. "What about dust?" Good question. Only the reflective attic insulation products from Horizon Energy Systems have multiple layers with air spaces in between each layer. This is where the performance comes from and why our products are more expensive that other reflective insulation products. This is also why our products do not degrade in performance over time because of dust accumulation. Always make sure that the product you are about to purchase has some kind of performance warranty. TCM is the only reflective insulation (radiant barrier) that is impervious to performance degradation due to the accumulation of dust. Dust is the Achilles Heel for all radiant barrier products except TCM. 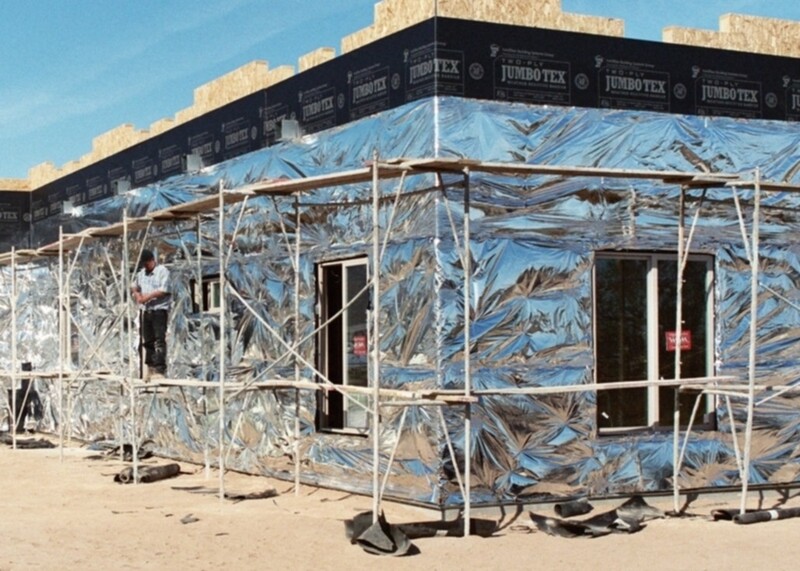 TCM is also the only reflective insulation product that has a lifetime performance warranty. Where should our products be placed for optimum performance? Which product(s) should I consider? 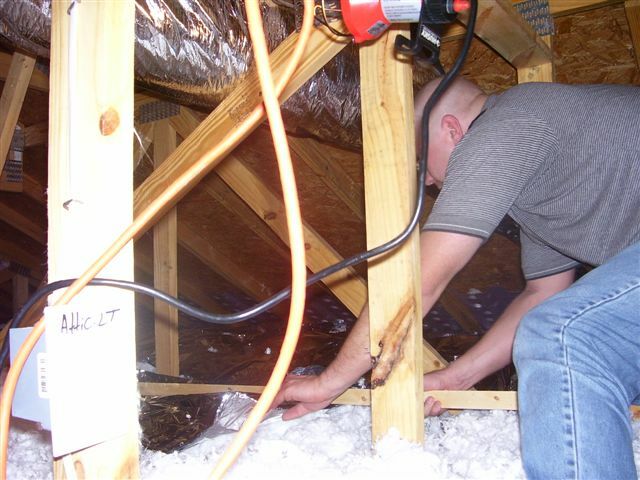 Rather than do it right the second time, email us some photos of your attic, your addition or new construction and our design team will assist you and insure you are on the right path using the right product. Thermal Control Membrane installed in an attic with conventional framing. Simply roll it out like a carpet over the existing attic insulation to reduce heat gain and heat loss. TCM is available 26" wide for rolling out over existing insulation in attics between trusses, and 48" wide for wall, ducts, conventionally framed attics, steel buildings or anywhere you can imagine. Wherever there is a penetration through the TCM simply cut around it with scissors and overlap. No taping or securing is needed. Here is a photo of TCM-6 being installed by one of our online shoppers. "It was easy to install and the effects were immediately noticed by my family. All the rooms in the house are now the same temperature and the unit does not run nearly as often and stays off longer." TCM installed on the inside walls and ceiling of a steel building or garage will forever change how it feels inside. This is the ultimate insulation product for this type of construction. Simply adhere, staple or nail TCM to the desired surface! It's that easy. 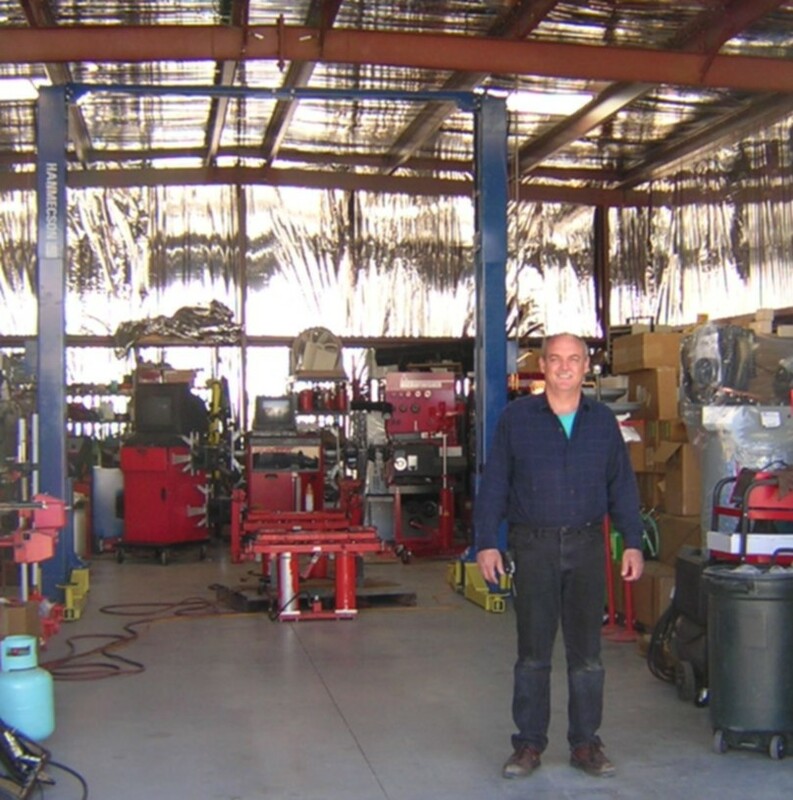 This TCM user is air conditioning a steel building in Phoenix! No insulation of any kind is used in this building, only TCM. 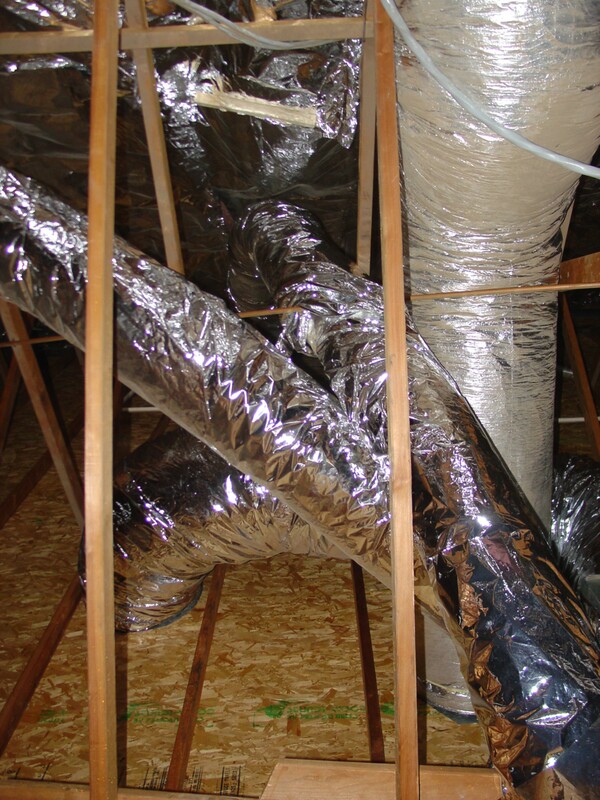 Insulation can only resists heat flow, TCM changes the direction of heat. What would you rather have in your home, building or addition? TCM-6 is our latest patented product and can be shipped to your door UPS ground for 79 cents per square foot. Custom configurations are available for any application you may have: under metal roofing, packaging, vehicles, house wrap...the applications are only limited by your imagination. NEWS FLASH! We now make a reinforced TCM with white surface that is 54" wide for steel buildings! Email us for more information and pricing on this exciting new TCM application! TCM is much more effective and efficient than fiberglass batt products in both winter and summer applications. Why? Here's the question: Given the choice, would you rather resist the movement of heat or change the direction of heat? That's the primary difference between conventional insulation and TCM. Conventional insulation only blocks heat, often trapping it in places that end up then adding more heat to your home. TCM reflects heat, changing its direction, allowing you to then chose how to conduct that heat flow in the most energy efficient way possible. 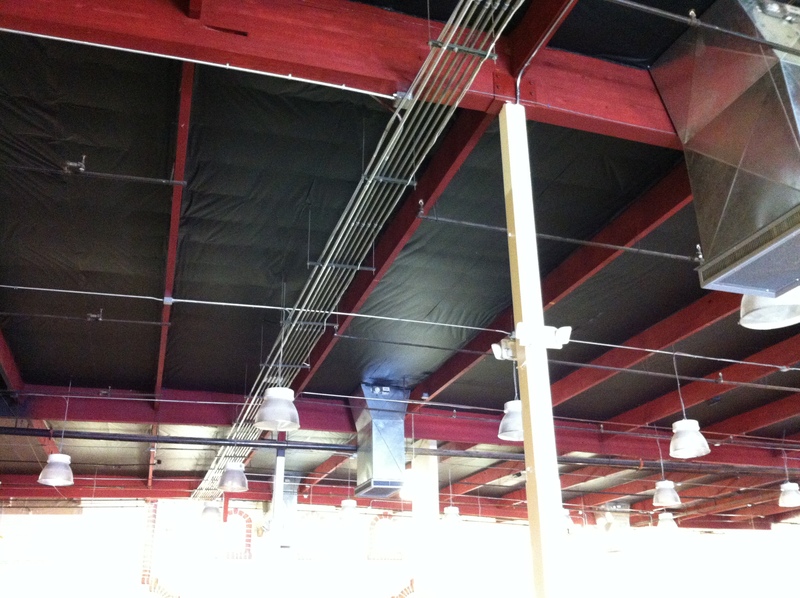 Wrap your ducts in our RBS Wrap product - Cut to fit your application! TCM is available in 26" wide (for rolling out between attic trusses) and 48" wide configurations.